This week, newly elected officials across our country and state started what is supposed to be the work of ‘the people.’ Budget talk has dominated discussions for months and the ‘so called’ fiscal cliff is starting to hit home for many Mainers. Maine’s average household income is about $48-thousand, according to the U.S. Census Bureau, and the federal payroll tax change will affect thousands of working families leaving them with less money. An average family will lose about one-thousand dollars from their paycheck in 2013 because of the payroll tax change – a decrease that will likely make it difficult for Mainers to pay their own bills. I am proud to share with Mainers that the tax cuts passed by the Maine Legislature in the last biennium will save a family of four with an income of $48,000 a little more than $300 annually. Unfortunately, there doesn’t appear to be much light at the end of the tunnel on the national stage. A new Congress took office this week and those lawmakers will soon be confronted with mounting debt to the tune of $16-trillion. It remains unclear as to whether or not lawmakers will increase the debt ceiling. Credit rating agencies have repeatedly warned that the United States could face another downgrade by 2014, or sooner, if Congress doesn’t come up with a plan to reduce the national debt. Unlike Washington, Maine does not have the luxury of printing money or increasing any sort of debt ceiling. We must balance a budget and we must pay our bills. Currently, Maine owes hospitals nearly $500-million. These overdue bills are from welfare reimbursements that go back as far as 2009. Two years ago, I led the effort to ensure Maine hospitals would get their money and about $250 million was paid. But we have to settle up now for a couple of reasons. First, it is putting good careers on the line. Positions are unfilled, layoffs have occurred, and pay cuts have been taken by workers to fill the void. 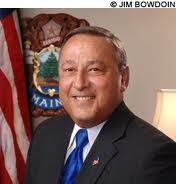 Second, if we neglect to pay now, Maine taxpayers will pay more later. Right now, the State owes $484 million with the State share totaling $186 million at the moment. You see, since 2010, the federal government has provided less reimbursement money for welfare programs. The Obama Administration which is saving the federal government money is reducing match rates, but it is making states dig deeper into their budgets to offset the difference. In 2010, for every dollar Maine spent on welfare, the federal government gave us three dollars. Today, Maine receives only about one dollar and seventy cents for every dollar the State pays. The future is not getting any brighter in Washington so the State can expect the match rate to continue to go down. And let’s not forget its Maine taxpayers who are paying the bill. This is serious. Maine families have budgets and have to live within their means and I don’t think the government should be treated any different. Hard working Mainers pay their bills and the government should too – after all, it is the people’s money the government has. Paying Maine hospitals will help to fuel a sluggish economy. Five-hundred million dollars pumped into an industry that employs 30-thousand Mainers will enable the struggling economy to stabilize. And in order to balance budgets, the State needs a robust economy. Ignoring this problem is simply irresponsible. It puts both the economy and good paying healthcare careers in jeopardy. To remain solvent, Maine people pay their bills, and balance their checkbook. It is simply time that Maine State Government do the same. We need to let lawmakers know that it’s time to pay the bills.